Where Will our Old Phones GO? Australians are one of the highest users of mobile phones globally and we are continually looking to upgrade our mobile devices. So what happens to all of our old and unused mobile phones and accessories? Enter MobileMuster the not-for-profit government accredited mobile phone recycling program whose mission is simply to keep mobile phones out of the landfill. MobileMuster estimates that there are 22.5 million old and unused mobiles currently being stored around the country. The scale of the waste problems is enormous and growing every year. Should we Keep our Old Mobile Phones or Recycle Them? Australians are keeping their old mobiles because they think they are worth something or as a backup, but many remain unused and nearly a third are believed to be broken and not in working order. The best way to realise the true value of your old mobile is to recycle it so that all the resources that have gone into making them can be recovered and put back in the supply stream, conserving our natural resources and protecting our planet. Making it easier for organisations and the community to recycle all their components at the one drop-off location. MobileMuster partners with retailers, local government, workplaces and schools to provide over 4000 public and 3000 private drop-off locations. Last financial year workplaces helped to divert nearly 5000kgs of mobiles, batteries, chargers and accessories from landfill and over the past 10 years they have collected over 85,000kg for recycling. The program has been formally accredited by the Federal Government as Australia’s first voluntary product stewardship scheme under the Product Stewardship Act 2011. This gives assurances to workplace partners that the mobiles and accessories they collect will be recycled to the highest environmental standards using world best practices. MobileMuster provides partners with a free collection unit, pick-up and processing service. We also provide promotional and educational resources to help organisations promote their MobileMuster collection unit to employees and their community. Each year MobileMuster awards annual certificate of destruction for each collection through the program and the environmental benefits generated for inclusion in your organization’s sustainability reports. Partnering with MobileMuster is a great way to engage staff in a positive, environmentally focused initiative. 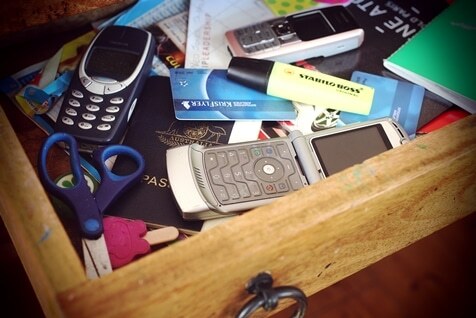 Independent market research conducted in January 2015 by IPSOS on behalf of MobileMuster revealed that many Australians would like to recycle their old mobiles in the workplace. Establishing a mobile phone recycling program in the workplace is not only good for the environment but it is also good for staff morale and provides a convenient way to recycle. What Happens to the Mobile Phones? All of the components are dismantled locally at MobileMuster’s recyclers before the plastics, metals and glass are further processed in Australia or at approved facilities in Singapore or South Korea. These materials recovered through the recycling process can be used to make everything from stainless steel to plastic fence posts. 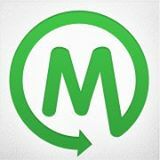 MobileMuster ensures that all data on the mobile phones is destroyed through the recycling process. This provides participants with the security and peace of mind that their data will not be accessed by other parties. None of the mobiles is sold for reuse in Australia or overseas! Our recycler TES-AMM is R2 certified which means they follow and demonstrate strong environmental standards which maximise recycling, minimise exposure to human health or the environment and ensure safe management of materials by downstream handlers. Through the recycling process, you are preventing potentially hazardous materials from entering the environment. Mobile phones are not biodegradable and should not be thrown in the bin as they contain small amounts of potentially harmful substances which, if not managed properly, may harm the environment. These are precious resources that only exist in finite quantities so it’s important to conserve them, and limit further use. Did you know that one tonne of mobile phone circuits can yield the same amount of precious metals as 110 tonnes of gold ore, 123 tonnes of silver bearing ore and 11 tonnes of copper sulphide ore? Through the recycling process over 93% of the materials in mobiles and accessories are recovered and used to make new products. Recovering these materials avoids the need to mine non-renewable resources, thus conserving our resources, and avoid air and water pollution and greenhouse gas emissions. Since the program started in 1998 nearly 1,161 tonnes of mobile phone components have been collected and recycled. This includes 9.87 million handsets and batteries plus more than 576,000kg of accessories. It is the industry’s official recycling program and is paid for voluntarily by the companies who make and sell mobiles in Australia. Alsco would like to acknowledge and thank Larissa Shaskof, Communications and Education Officer of MobileMuster –Australian Mobile Telecommunications Association for sharing this valuable article that will educate all mobile phone users that old phones can still be used/recycled. Latest mobile phone models are better than the old ones – Why? Simply because today all of us can download different kinds of apps. Use you phones to download green apps to help the environment. We at Alsco want to save and keep the environment and our natural resources with our EcoMats. Contact us now 1300 659 892!